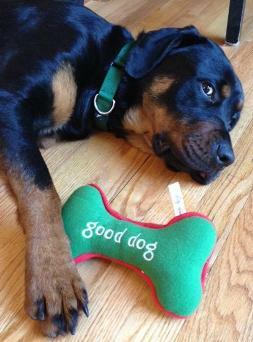 Find out how you can Sponsor A Rottweiler! My name is Maizey and I am filled with, and love, life. I love to romp and play with my dog friends. I chew on bones and will play ball with anyone. 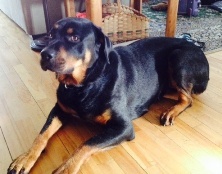 I will need plenty of exercise and will be active with my forever family. I will be happy to see you come home and I will be loyal by your side and in your lap. I am a bit shy with strangers, but I warm up quickly. I am super smart and learn things quickly. I am very eager to please, but at just over a year old I am still a baby. Will you love me, challenge me, and let me follow you everywhere? Please consider giving me a forever home. I would like to APPLY TO ADOPT. I understand it will take at least 3-4 weeks to process my application, depending on the volume of applications currently being processed. 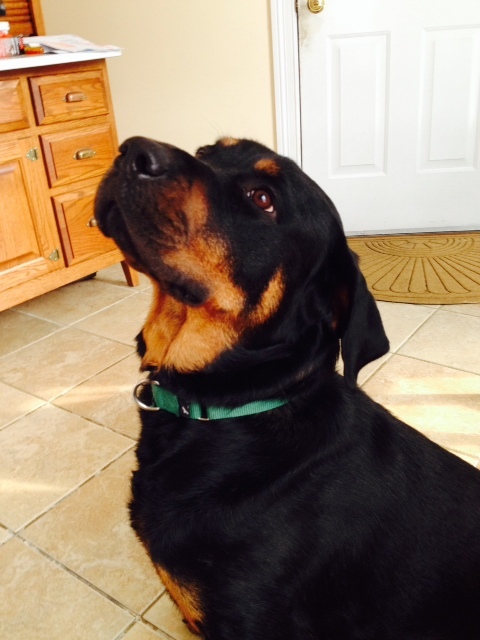 Rescuing Rottweilers is an expensive and time-consuming activity. All of our rescue personnel are volunteers, and our activities are made possible by contributions of money, food, medical expertise, training articles, and services from many sources. Please consider making a donation through PayPal to help defray medical care costs.